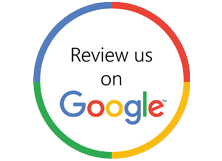 At Result Driving School we concentrate on quality, not quantity: all our instructors are highly qualified and dedicated to making sure you are ready for your test with the minimum number of driving lessons. A wide range of packages available to suit every pocket, with lessons from just £15*. Why not fill in the simple form to get a no obligation quote? Covering Birmingham and the majority of surrounding areas in new cars on a strictly one to one basis. Flexible scheduling to match your available timetable, weekdays, evenings or weekends. 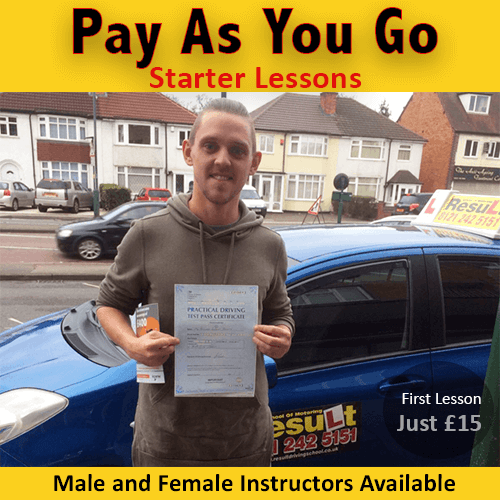 At Result Driving School We also cater for those who prefer Female Instructors or Automatic Tuition. Result Driving School is one of Birmingham’s leading driving schools. 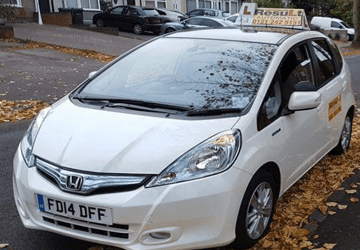 Offering driving lessons across Birmingham and the wider West Midlands we take an approach to driving lessons that puts you in the driving seat. As a leading Birmingham driving school we have access to a wide range of both male and female driving instructors. On top of that, we are able to offer you a choice of learning to drive in an automatic or manual car. At Result Driving School we pride ourselves on the extremely high first time pass rates our students achieve and we put that success down to our patient and friendly driving instructors. Although patience is a key to learning, we also put a focus in to the quality of lessons – to ensure you can become a competent driver as fast, safe and efficiently as possible. Although we cover the whole of Birmingham, our local driving instructors have an unrivalled knowledge of their own local area – simply tell us which test centre you would like to use and we will tailor your lessons to those areas. With lessons starting from just £15 we are one of the most affordable and cheapest driving schools in Birmingham. But it is not just our low hourly rates that make us competitive. All of our driving lessons take place on a one-to-one basis and are designed to work around you. 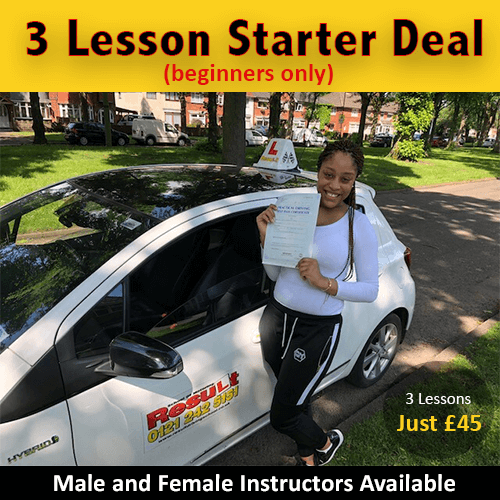 If you specifically want driving lessons from a female instructor then that can be arranged, if you need lessons on a flexible schedule then that too can easily be arranged. Our commitment to our students is unparalleled. 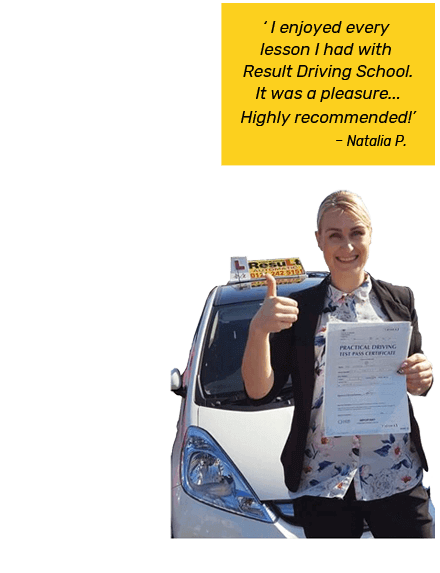 Why Choose Results Driving School? All of our driving instructors are locally based and are highly graded. In addition, our instructors are DVSA registered and DBS/CRB checked. Our instructors work flexibly around you and can pick you up from wherever is convenient – whether that be home, work or college. We understand that every one of our students has differing needs and our flexible approach makes learning to drive that little bit less stressful. 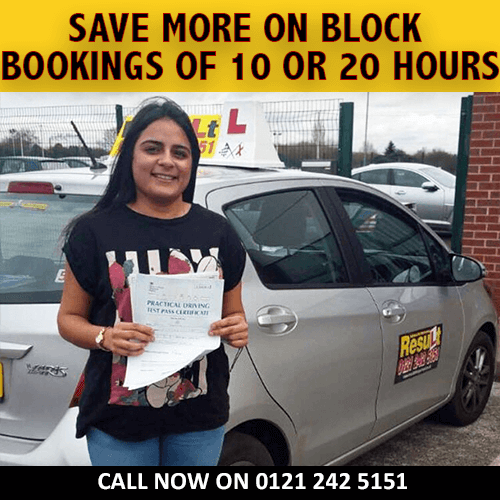 Finally, our prices are some of the most competitive of all Birmingham driving lesson prices – so why not book your first lesson with us today. We have very high pass rates. With both male and female instructors, we can meet the needs of every learner. Learn in new manual or automatic cars – the choice is yours! Our patient and friendly driving instructors will make learning to drive a pleasure.